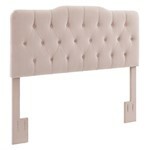 Fantastic style and and plush padding make this tufted headboard a standout accent for your bedroom. Created with beautiful fabric that brings out the details in every pleat, it features smart color-matched button tufting that forms a row of textured harlequin-like diamonds across the center. The modified camel back silhouette offers a subtle plateau in the top center for a sense of lofty elegance. 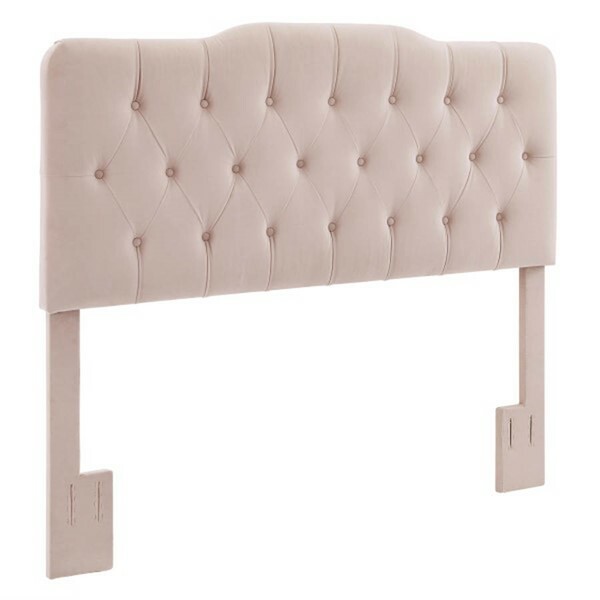 Two sturdy wood support legs bolt to most commercial bed frames, not included, and headboard height can be adjusted to accommodate various mattresses.